UPDATE: Mr. Mannisto has been located and safely returned home. 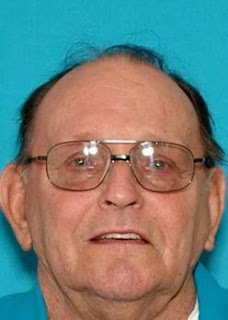 The Elk Grove Police Department is asking for the community’s help in locating an at risk missing person, 78-year-old John Mannisto (photo above) who is suffering from memory loss. Mr. Mannisto was last seen driving away from his residence, located in the 8700 block of Halverson Drive, this morning around 11 a.m. in a gold colored 2002 GMC Sonoma license plate number 6W09168. Mr. Mannisto is described as a Caucasian male, 5'8",190 lbs., with brown hair, a gray beard and hazel eyes. He was last seen wearing an aqua colored baseball cap, brown metal framed glasses, a white polo shirt with tan shorts and brown loafers. Anyone with information regarding the whereabouts of John Mannisto is asked to contact the Elk Grove Police Department Dispatch Center at (916) 691-5246.